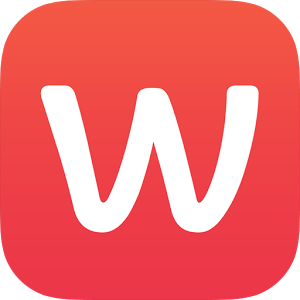 Overview : Winkli is new app supported by one of the best French start-up incubators called TheFamily. The app is co-founded by 3 friends, Alexis Dupont, marketer specialized in mobile innovation, along with Vincent Tromeur and Alexis Creuzot, engineers and mobile developers. What pain are we solving ? While young people are ever seeking to maximize networking opportunities through geo-location, Winkli facilitates meetings between people of the same social circle, indicating future events where they are likely to meet and presenting the participant profiles of their own Facebook events as well as those within their network. Winkli solves curiosity and help you to never miss a potential encounter. View personal Facebook events as well as those within your circle of friends. You won’t ever miss the weekend’s main event! Discover the participants who attend these events and those with whom you have friends in common. Show your interest anonymously to other participants (‘wink’) – making the possibility of contact simple. Be matched, if the ‘wink’ is mutual, via instant messaging to chat and plan to meet at the event: No more awkward first introductions. Chat with friends who will be present, in the context of the event. Why did you build Winkli? The world needs Winkli to enhance its social connections in events and never miss someone interesting to talk to. We believe that bird of a feather sticks together. Having contextual information in advance is huge advantage in networking and dating ! We’ve heard many stories like these in the past and to help our friends remedy these issues, we’ve created Winkli. Tell us about your founding team and their backgrounds. Winkli is supported by one of the best French start-up incubators called TheFamily. The app is co-founded by 3 friends, Alexis Dupont, marketer specialized in mobile innovation, along with Vincent Tromeur and Alexis Creuzot, engineers and mobile developers.